THURSDAY, Dec. 3, 2015 (HealthDay News) -- Do your winter travel plans include Hawaii? You may want to pack bug repellent, experts say. That's because the Big Island of Hawaii is facing an outbreak of dengue fever -- a mosquito-borne virus that can cause terrible headache and crushing pain in the muscles and joints. State health officials have confirmed 117 cases of dengue fever on the Big Island since mid-September, including 103 local residents and 14 visitors to the island. One other case has been reported on the island of Oahu, but health officials say it was not locally transmitted and is not tied to the new outbreak. The jump in cases has prompted top experts from the U.S. Centers for Disease Control and Prevention to visit the island this week to try and help, CNN reported Wednesday. 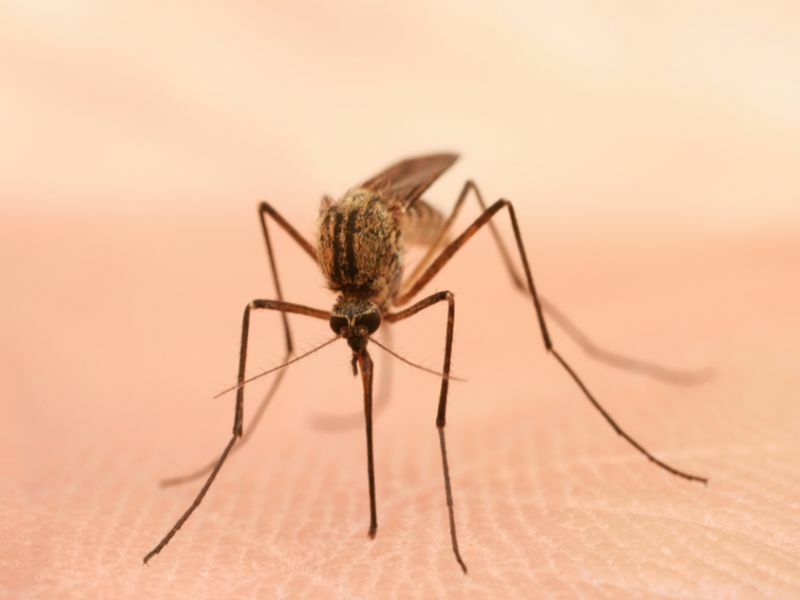 "I don't think travelers should be overly worried, but they should take care to avoid mosquitoes as much as possible," said infectious disease expert Dr. Amesh Adalja, a senior associate at the UPMC Center for Health Security in Baltimore. Called "breakbone fever" due to the extreme pain it causes, dengue fever can require hospitalization in moderate and extreme cases, according to Dr. Sarah Park, Hawaii's state epidemiologist and chief of the Hawaii Disease Outbreak Control Division. Symptoms include severe headache, often with piercing pain behind the eyes, and terrible muscle and joint aches, Park said. Sufferers also can develop a full-body rash and run fevers as high as 104 degrees. The symptoms typically appear five to seven days after being bitten by an infected mosquito. Dengue is not transmitted person-to-person. There is no cure for dengue fever, although a vaccine is poised for federal approval, said Adalja. However, the disease is rarely fatal in developed nations, according to the CDC. Only about 1 percent of people die from dengue if the disease is detected early and treated properly. Both the CDC and the Hawaii Department of Health are urging travelers to protect themselves from mosquito bites. People particularly should steer clear of areas with lots of standing water, where mosquitoes can breed. These include jungle terrain and other overgrown areas, Park said. "Surfing or sunning on the beach is not likely to be a risk," she said. "Going out into heavy vegetation areas, that's where you might consider taking precautions." If going out on a hike in an area with mosquitoes, people should wear long-sleeved shirts and pants, and apply effective mosquito repellents to their exposed skin and clothing, health officials said. The mosquitoes that carry dengue tend to bite during the day, so visitors and residents can feel safe at night, Park said. The state also is asking residents to check their property for standing water, fix leaky outdoor faucets, clean their gutters, and regularly flush tropical plants that hold water. Resort areas tend to perform these mosquito-prevention activities already, and are generally safe from the pests, Park noted. According to CNN, the CDC team that traveled to Hawaii on Tuesday is bringing special mosquito traps that are easier to use and target the strain of mosquitoes that transmit dengue. Dengue fever is caused by any of four closely related viruses, according to the CDC. Although it's been around for centuries, the illness was first documented in the 1950s during epidemics in the Philippines and Thailand. Dengue does not occur naturally in the continental United States or in Hawaii, but it can be brought in by visitors. Hawaii last suffered an outbreak of dengue in 2011, on the island of Oahu, health officials said. Worldwide, about 2.5 billion people -- 40 percent of the world's population -- live in areas where there's a risk of dengue transmission, the CDC says. In rare cases, dengue can cause life-threatening hemorrhagic fever or shock, Adalja said. However, that most often happens when someone who previously had been infected with one strain of dengue is reinfected with another strain. None of the cases during this outbreak has progressed to such severe symptoms -- "knock on wood," Park said. People hospitalized with dengue are given supportive care, she said. Doctors give them fluids and acetaminophen, and monitor their electrolytes.